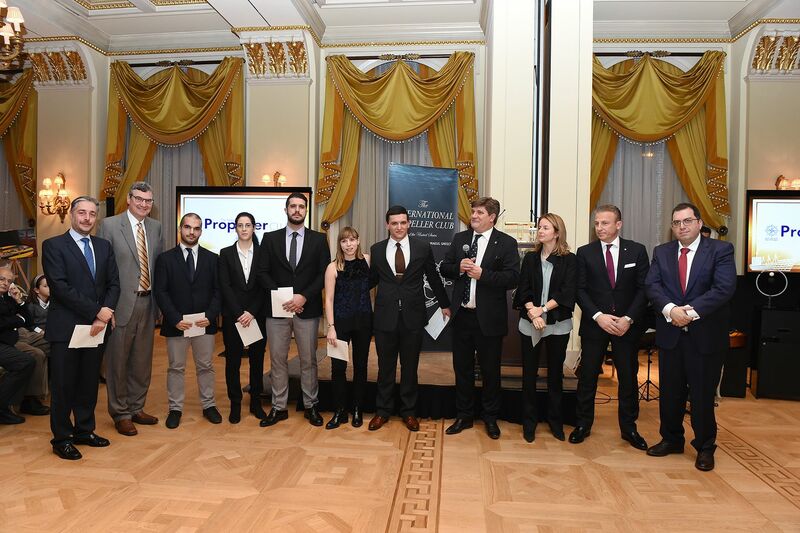 During its New Year Pitta Cutting Celebration which took place at the Grande Bretagne Hotel, the Propeller Club (Port of Piraeus) along with ALBA Graduate Business School, offered a scholarship to six of Real Time Graduates Members for the MSc in Shipping Management program. 1) Nikos Mousouroulis, Athens University of Economics and Business (AUEB), BSc in Operations Research and Business Analytics, Full Scholarship (100%) 12,500 Euros for the MSc in Shipping Management program. 2) Elena Vamvakinou, University of the Aegean, BSc in Shipping, Trade and Transport Partial Scholarship (30%) 3,750 Euros for the MSc in Shipping Management program. 3) Antonios Chatzaras , University of Greenwich, BSc in Business with Shipping, Partial Scholarship (30%) 3,750 Euros for the MSc in Shipping Management program. 4) Eleftheria Kyriazi, University of Piraeus, BSc in Economics, Partial Scholarship (30%) 3,750 Euros for the MSc in Shipping Management program. 5) Stefanos Florakis, University of Pireaus, BSc in Shipping, Partial Scholarship (30%) 3,750 Euros for the MSc in Shipping Management program. 6) Marios Lianos, University of Piraeus, BSc in Shipping, Partial Scholarship (30%) 3,750 Euros for the MSc in Shipping Management program. A very big thank you to Mr. S. Vougious, Director of ALBA's Shipping Program and Mr. George Xiradakis The President of the Propeller Club Piraeus for their special offer. We wish to all of our RTG Members that this opportunity is a road to success that leads to their goals!